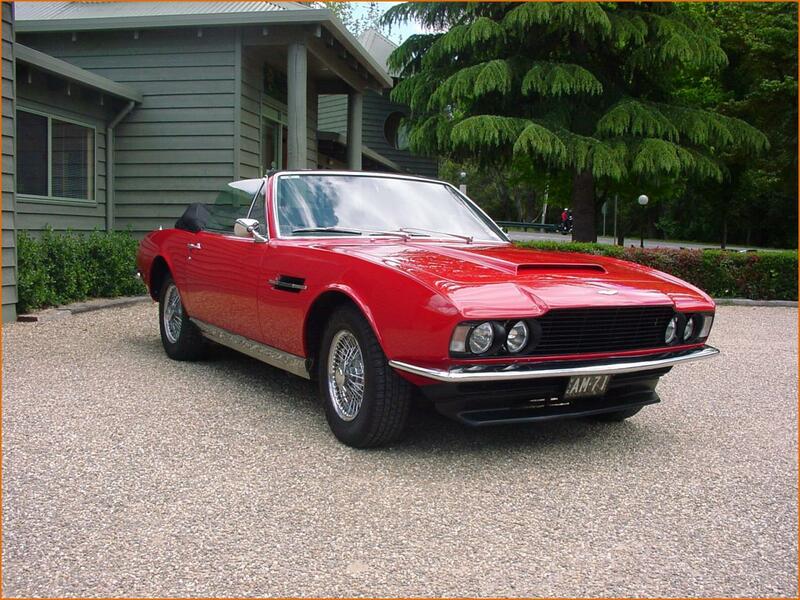 It was by pure luck while surfing the net that I discovered this 6 cylinder convertible DBS. 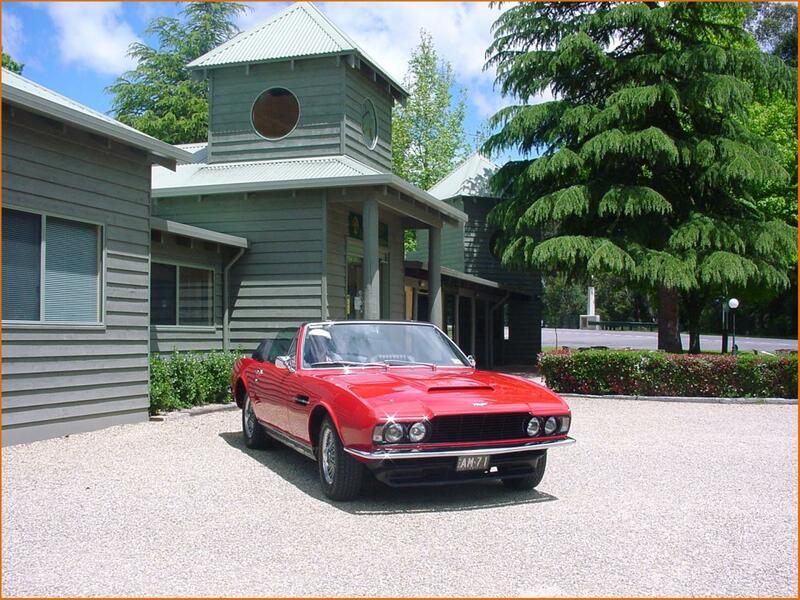 It is not one of the famous Paul Banham conversions, but a high quality transformation carried out in Australia. 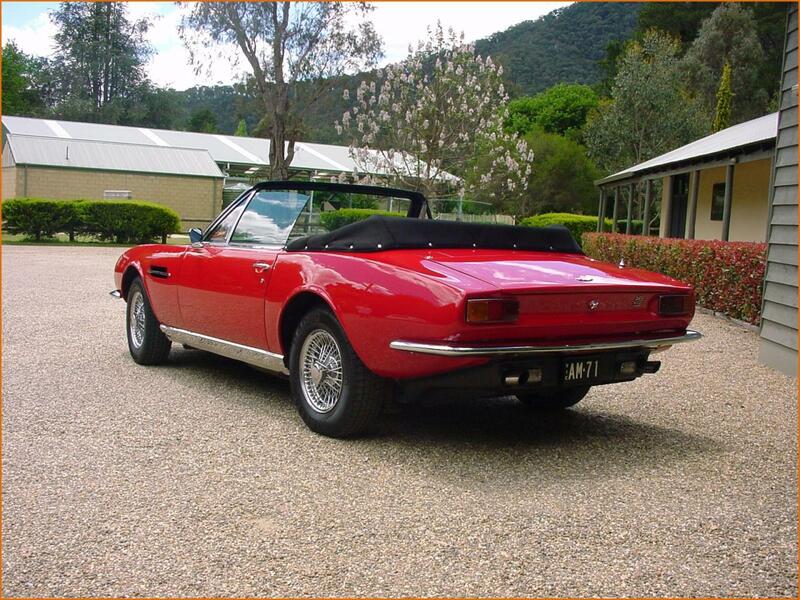 Delivered new in 1971 and exported to Sydney, this Vantage model (chassis DBS/5531/R) is now in the hands of its fourth custodian Tony Mitchell. When Tony acquired the car in April 2007, although it had only covered 67,417 miles it needed a complete restoration. 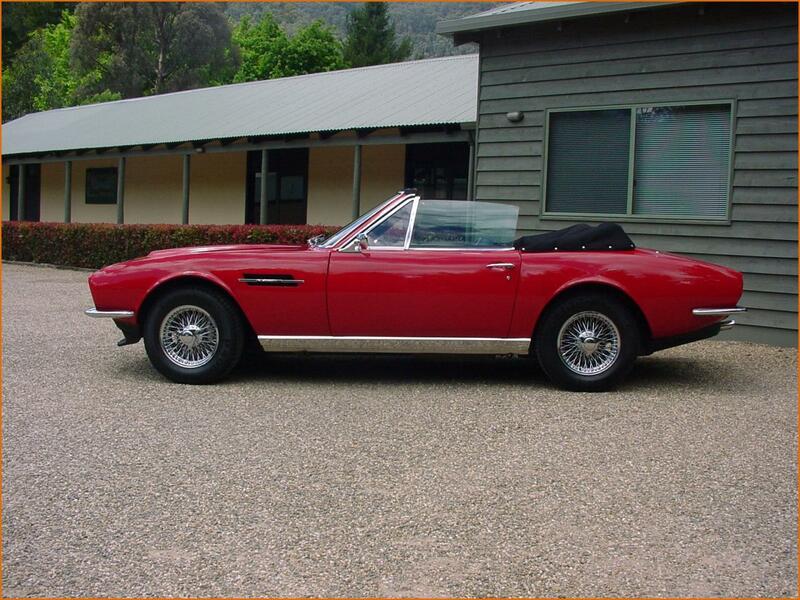 Four years were needed to return the DBS to its former glory, including a total rebuild of the engine and the three Weber carburettors, a new wiring loom, electronic ignition and a new alternator. As far as the body work was concerned, both front and rear ends of the car needed quite a lot of remedial work and Tony says 18 coats of paint were removed before the car could be returned to its original colour of Fiesta Red. The seats were also totally rebuilt and the leather seat covers were replaced with Scottish leather similar to that provided by Conolly. Tony has no idea when the DBS was transformed into a Convertible nor does he know which company undertook the work. But he does know it was carried out while the car was in Sydney by one its two original owners, probably before April 1995. It would be interesting to find out the identity of the company, if it still exists, and obtain an account of how the converion was carried out. 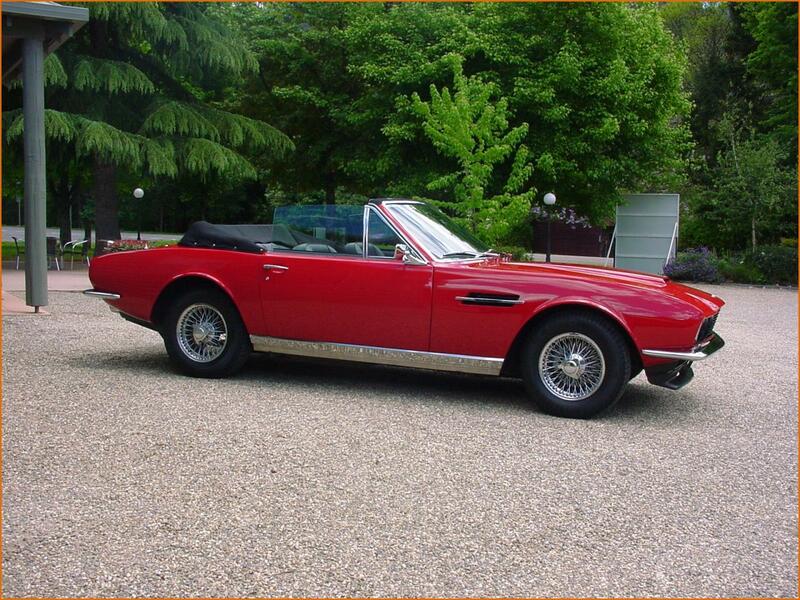 Tony Mitchell now uses this magnificent DBS 6 cylinder Convertible for his own personal pleasure. 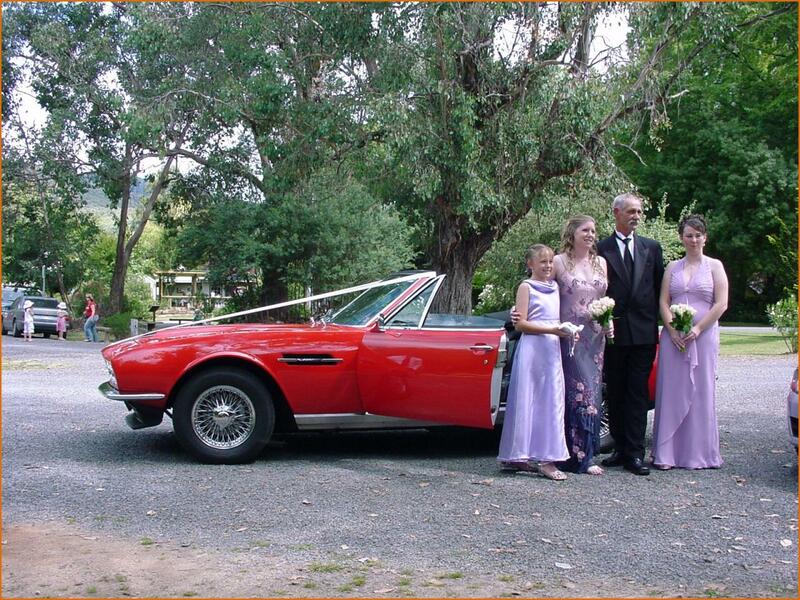 But it is also often used as a wedding car, for many young couples who have organised their wedding banquets at Tony's hotel and restaurant situated in the north east of Victoria State. Many thanks to Tony Mitchell for the information and suberb photos he has very kindly provided.